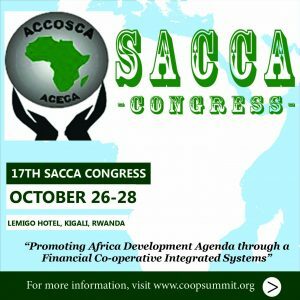 The 17th SACCA Congress was organized by the African Confederation of Cooperative Saving and Credit Associations (ACCOSCA) on October 26-28 in Kigali Rwanda. The congress gathered some 700 participants, mostly representing Saving and Credit Cooperatives (or SACCOs) and Credit Unions from 13 African countries. The event highlighted the importance of financial cooperatives in an era of increasing economic inequality, wealth concentration and mistrust in conventional financial institutions. The congress encouraged all African SACCOs and Credit Unions to promote and facilitate financial inclusion, especially of youth. Including young members into SACCOs and Credit Unions is not only the right thing to do, but also the right way for these organizations to grow. However, growth needs to be accompanied by improved governance, management and leadership. The latter is the area where most capacity building efforts should focus. 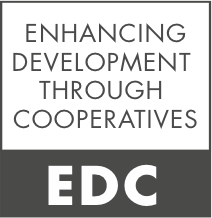 For this reason EDC was invited to give a one day training session based on the cooperative life cycle framework to a group of 20 leaders, managers and regulators of Kenyan SACCOs and Credit Unions. This conference organized by the International Association of Agricultural Economists gathered more than a thousand participants worldwide. EDC researchers presented and discussed a joint paper titled: “Promoting the Role of Farmer-Based Organizations for Value Chain Integration: the Tension between a Program’s Targeting and an Organization’s Investment Strategy”. “Policymakers should focus and increase their support to inclusive agribusiness development initiatives aiming to build commercial linkages between young farmers in developing countries and large, multinational agro-industries. Rural youth represents a large portion of developing countries’ population, but off-farm employment opportunities remain scarce. Rural entrepreneurship and agribusiness development are the only realistic options available in order to absorb such a large number of young people into the economy and avoid mass unemployment in the years to come. Yet, emerging rural enterprises and agri-businesses in developing countries struggle to compete with consolidated and multinational agro-industries in gaining access to both domestic and export markets. This conference organized by the International Cooperative Alliance gathered two hundred researchers worldwide. Prof. Cook from GICL-MU chaired a session on the “Cooperative Life Cycle Framework”, which comprised a series of presentations by researchers involved in the EDC project (see the paper by Dr. Chaddad at the bottom of the page). Prof. Cook also gave the opening, keynote speech of the conference, captured in the following video. This “International Summit of Cooperatives” was held on October 5-9, 2014, in Quebec-Canada and gathered 3,000 participants worldwide, in order to share experiences related to cooperative and mutual organizations and discuss the future directions of this global movement. The presentation of a paper titled “The health of farmer-based organizations in ghana: organizational diagnostics and governance implications” by Dr. Francesconi from CIAT, during the Summit’s International Research Symposium. Prof. Cook from GICL-MU chaired the plenary session on “Food Security: Feeding 9 Billion People by 2050”. This round table discussion involved a number of internationally renowned speakers and highlighted the potential of agricultural cooperatives for reducing food insecurity, food price volatility and agricultural yield gaps over the long term. The discussants highlighted that cooperatives are key actors in food security, with almost 40 per cent of cooperatives worldwide working in the agricultural or agri-food industry and about 50 per cent of the global food supply being marketed through cooperatives. Dr. Nadeau from OCDC organized an exhibition and a workshop to officially launch its new International Cooperative Research Group.